Chicago, IL: Lithuanian Research and Studies Center, 2004, 196 p.
Chicago: Lithuanian Research and Studies Center, 2002, 155 pp. 2nd Edition, revised and enlarged. Chicago, IL Lithuanian Research and Studies Center, 2004, 550 p.
Chicago, IL: Lithuanian Research and Studies Center, 1994, 366 p.
Chicago, IL: Lithuanian Research and Studies Center, 2000, 443 p.
Chicago, IL: Lithuanian Research and Studies Center, 1989, 304 pp. : iliustr. 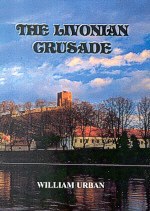 Chicago, IL: Lithuanian Research and Studies Center, 2006, 237 p.
Lithuania, Poland, and the Teutonic Order in Search of Immortality. Chicago, IL: Lithuanian Research and Studies Center, 2001, 500 pp. Chicago, 2002, 258 pp. iliustr. Demm, E., Noel, M., Urban, W.
Chicago: Lithuanian Research and Studies center, 1996, 260 p.
Vydunas Fund, 1998, 300 pp. Smith, J. C. and Urban, W. L.
Chicago: Lithuanian Research and Studies Center, 2001, 134 pp. Institute of Lithuanian Studies, 2001, 195 p.p. Chicago, IL: Lithuanian Research and Studies Center, 2000, 106 p.
Chicago, IL: Lithuanian Research and Studies Center, 2000, 121 pp. 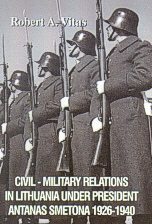 To order the books directly from us, please send your request via e-mail to info@lithuanianresearch.org and indicate your name, address, telephone number, and the name of the book you wish to order, its author, title, and number of copies. Include postage costs with the book cost. If you do not live in the USA, we will notify you of the shipping fee immediately after receiving your request. Once we receive payment, we will send you your order. You can order our books on Amazon.